Our working philosophy is that scale and proportion are as important as function. Site Visits & Consultations are free of charge. Direct Importers of monolithic stone blocks since 1987. Designing, shaping, carving and fabricating custom Architectural elements for Bay Area Homes. We also source reclaimed Roof tiles and floor pavers. We like to think that our work speaks for itself. 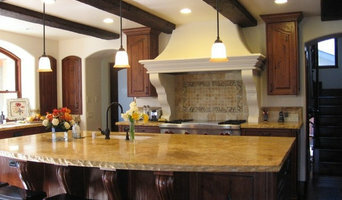 We invite you to spend a few moments reviewing our extensive website gallery of previous projects which include homes, gardens, wineries and olive mills in the Palo Alto, Menlo Park, Hillsborough, San Mateo, Woodside, Atherton, Portola Valley, Redwood City, Los Altos, Saratoga, Los Gatos, Carmel, or Napa Valley areas, and others further afield. If you would like to take a closer, first- hand look at our work, then please stop by our San Jose workshop location and we will be happy to show you around and answer any questions that you may have. At Stone Creations, we welcome our clients to visit each stage of the fabrication process. Watch as we cut authentic, natural limestone from blocks and slabs and then shape and carve it to order. Our combined use of traditional and modern techniques produces hand-carved, yet affordable, custom stone products that will complement the look of any property. We are here to provide you with the utmost quality products, customer service and professional installation services. Whether you're remodeling or repairing an existing chimney or fireplace or you're adding a new fireplace to your home, we are here to help you!! Your "indoor" and "outdoor" living plans can come to fruition with the selection of BBQ's, Gas or Wood Fireplaces, and Outdoor Living solutions we have to offer. 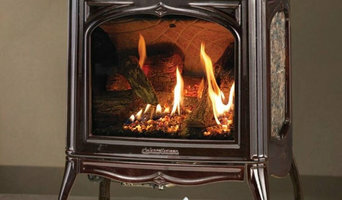 ABA Hearth & Home carries a complete line of high quality fireplaces and fireplace accessories. Whether you are renovating your existing home, building a new home or installing a new a fireplace, we are your one stop fireplace shop for fireplace products, installation, and chimney services! Our sales people and in-house installers are qualified and knowledgeable and have been thoroughly trained in all of the products and services we offer. 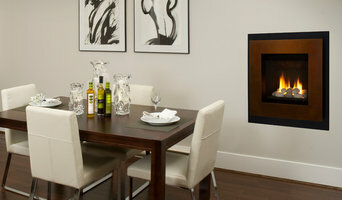 At West Coast Insulation our team of professionals is dedicated to the success of your insulation or fireplace project. We ensure that you get all the information necessary to make the best decision regarding your insulation project. You can have complete assurance that we will execute the installation of the insulation system or fireplace install that best suits your needs West Coast Insulation was founded in 1989 as a full service insulation company. The Fireplace Division was added in 2000. We take great pride in consistently delivering the highest quality service and products to ensure customer satisfaction to homeowners, contractors and developers. Our experienced crews serve the San Francisco Bay Area including San Francisco, the San Mateo peninsula, the San Jose metropolitan area and the East Bay including Alam eda County and Contra Costa County. Communication, teamwork, and on-site supervision of projects from beginning to end are the keys to our success and your happiness. All projects are carefully planned, scheduled and financially managed in order to complete each one on time and on budget. Our high standards of craftsmanship combined with reliability and integrity, yield a continuously growing list of satisfied clients. Call today to get a fee quote on your insulation or fireplace project. At London Chimney Services & Fireplace Shoppe, we know fireplaces! From creation and installation to service and repair, we have the knowledge and experience. London Chimney Services & Fireplace Shoppe was founded in 1977 by Mark Rizzo as a one-truck, two-employee business that performed basic chimney sweeping services and minor masonry repairs for San Francisco, Marin County, and the Greater Bay Area. During the 1980’s we expanded to four technicians and began offering installations of fireplace components and gas logs for local fireplace shops. By the 1990’s we were up to six trucks and began to perform large-scale masonry repair and restorations. By 2001 we were a full-service, CSIA-certified chimney company and fireplace shop. Fast forward to today and we are one of the area’s largest chimney service and fireplace dealers and continue to offer the knowledge and professionalism that make London Chimney Services & Fireplace Shoppe stand out. The physical world is a wondrous thing. All of the objects we use in our lives start as concept, approach, and raw material. How they become something we value is the important part. It defines how we see the world and eventually who we are, and we get to this place through the making. My friends and clients work with me to create the objects and settings that will matter in their lives. We start with concept: defining the need and how that can be fulfilled. The approach we choose is how that concept can be implemented in the best way. The raw materials are a choice that will shape the eventual piece. The result is a highly personal expression that walks with you through life. We are the only local fireplace and stove shop with a contractor’s license to install your fireplace properly the first time. We answer your questions directly, and our prices are our prices, no games or misleading sales. We work hard to earn and keep your trust. Our work is based off of ethical, professional, and technical expertise. *Authorized Mendota Hearth Dealer* We are the premier hearth shop in Northern California and are the only Hearth shop in the Northbay that offers our own in-house installation. Our service area includes Sonoma, Napa, Marin, Lake and Mendocino counties. Licensed, professional installation is available for all the products we carry. 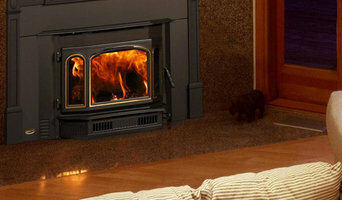 We have on hand an extensive stock of stoves, fireplaces and accessories as well as maintenance parts and supplies. We also have our own in house service department and chimney sweep. Featured manufacturers have been carefully selected to provide what we think are the best products available. Saturday 10:00 a.m. to 4:00 p.m. Sunday CLOSED. Browning Masonry specializes in interior and exterior masonry that will enhance and beautify your home. Your fireplace is the most relaxing part of your home, so when you rebuild or remodel, you want to use the most experienced Fireplace and Masonry Contractor in the business. Browning Masonry can provide you with a wide range of design using select materials. Jay Browning's expertise is his artistic ability to give you a product that will be one of a kind. Often, the key in creating the perfect look for your home is the entry way using select materials and oftentimes combination and balance of different materials. Original concepts and designs created for you. With over 30 years experience in the business, when you build or remodel, you can be rest assured that the job will be done right, above and beyond your expectation. State licensed, bonded, and insured. Most importantly, we work hard to finish each project on time and on budget. The Patio & Fire Place offer luxury outdoor furniture in a variety of designs, with personalized options from the top manufacturers in the industry. You have opportunity to fully customize your Outdoor living space and lifestyle. Our friendly knowledgeable staff can assist you with finding the furniture you like, then the fabric and finish selections you love and preferences like deep seating wicker chaise lounge, or the simple elegance of a classic wrought iron dining chair and beautiful firpit. The Patio & Fire Place for full-service sales and installation of exquisite fireplace doors, screens, tool sets, and gas logs. THE BEST SELECTION, BEST SERVICE & BEST PRICES in the San Francisco East Bay Area. *Authorized Dealer of Heat & Glo and Quadra-Fire Fireplaces* Malm Fireplace Center has been family owned & operated in Santa Rosa since 1960. 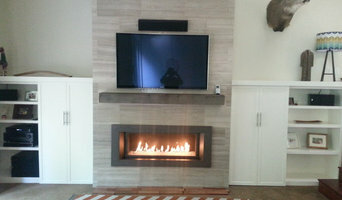 We specialize in fireplaces, fireplace inserts, freestanding stoves, outdoor fireplaces, fire pits and more! We are committed to educating the consumer on the art of fire.